xxpress can do the work of up to 6 conventional thermal cyclers. With a cycle time of less than 10 minutes, up to 5 experiments can be completed per hour. Optimal use of reagents and staff time reduces the cost-per-test significantly, making it Best in Class. Using a touch screen and built-in advanced computer, xxpress is completely self-contained without need of an external computer. 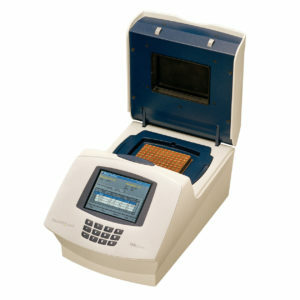 With a thermal ramp rate of up to 10ºC per second, xxpress is the fastest, real-time thermal cycler in the world. Thermal uniformity across all the samples to better than ±0.3ºC during cycling.